That’s a phishing email, and someone’s trying to scam you into giving them private data, or downloading malware. By not opening suspicious emails, anyone can avoid phishing scams. But for extra protection against threats both in and out of your inbox, you can use Avast Free Antivirus. keeps any suspicious links from taking you to dangerous websites. scans attachments and other files to make sure they’re safe for your PC. Avast also keeps your friends, family, and contacts safe, by marking all of your emails with a security signature. 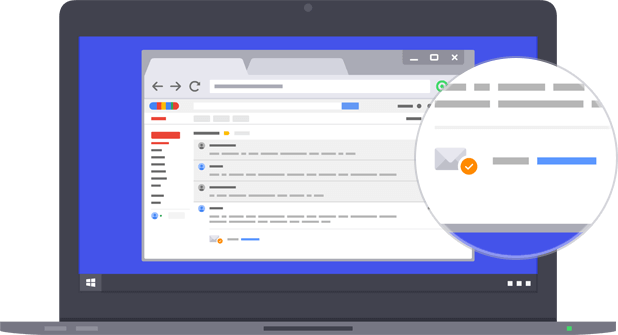 To give peace of mind to the people you message, Avast adds a security signature to your outgoing emails - proof that your message is virus-free. But if you’d rather we didn’t, you can turn this on or off at any time. Your email signatures will now be turned on or off. Avast Free Antivirus - Nitro Update is more than an email protector. It keeps your entire PC, top to bottom, secure with lightweight features that won’t slow you down.